TORONTO, ON., August 26, 2015 – What does it take to bring dreams to life? 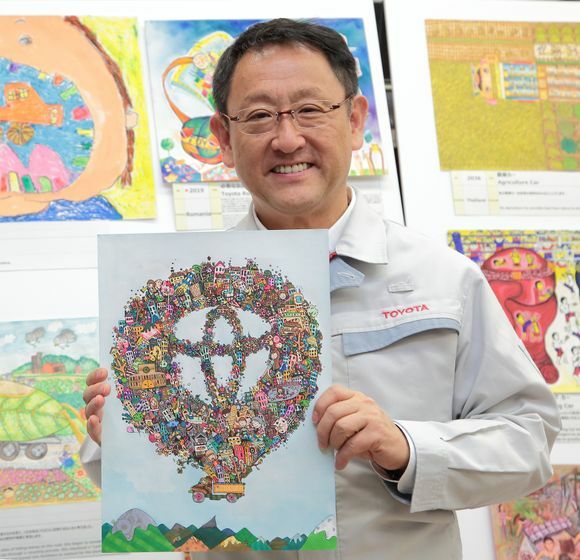 For Toyota, the answer comes through the inspiration and creativity behind the imagination of youth around the world in the Toyota Dream Car Art Contest. Youth aged 15 and under are invited to share ideas about the future of mobility by drawing their dream cars. 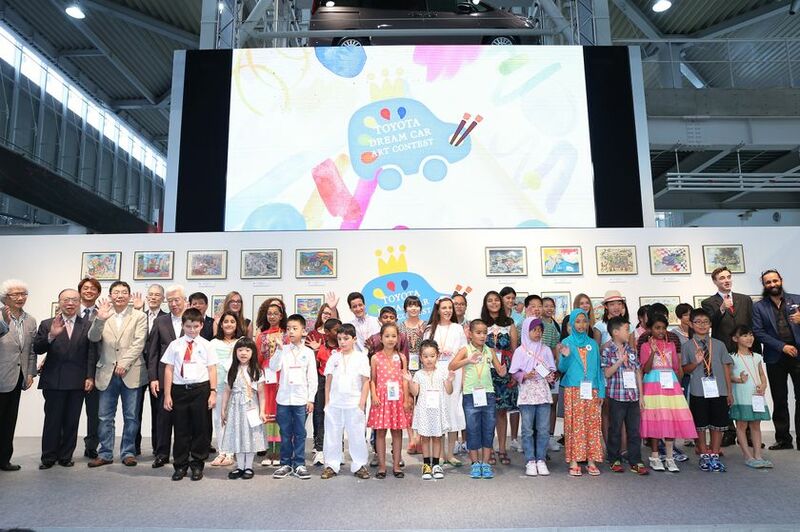 This year, two Canadian winners of the Toyota Dream Car Art Contest were selected among the top 30 global finalists from about 875,000 entries submitted by youth from 81 countries and regions. Eleven-year-old Noelle saw piles and piles of fallen leaves on the road every Fall and she began to wonder if all those leaves could be recycled. 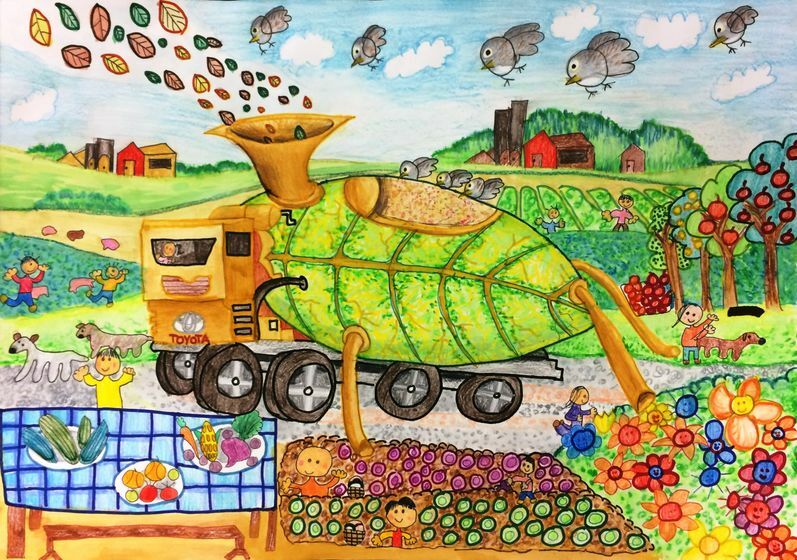 She visualized a “Leafmobile” that collected the leaves to turn them into plant fertilizer. Fifteen-year-old Grace, an immigrant from Korea, had always lived far from her extended family and her dream was for everyone to live together one day. Inspired by a village where her entire family would live in a “Dream Society,” Grace designed a hot-air balloon-shaped car to carry that dream everywhere. Both pieces of art were awarded silver, placing among the top three in their respective age categories. 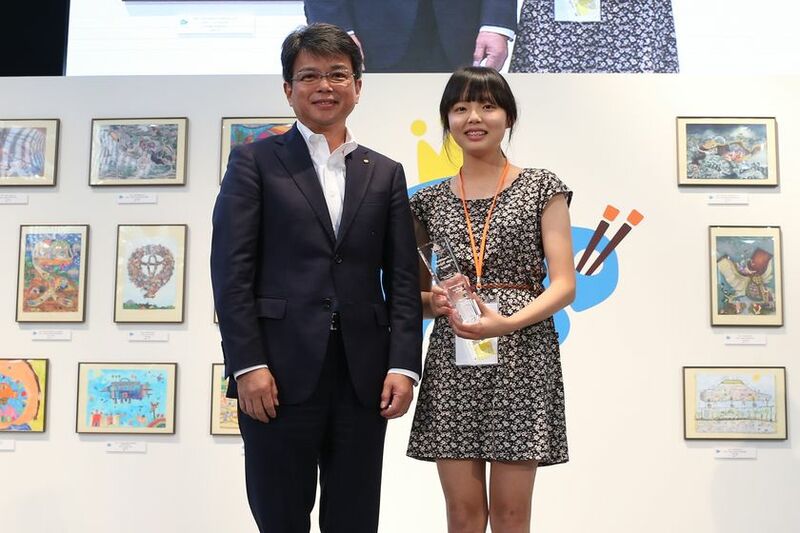 Grace was also awarded the Akio Toyoda Award, a special award chosen by Toyota Motor Corporation president Akio Toyoda. As global finalists, Noelle and Grace – who are both from the Lower Mainland in B.C. – were invited to an all-expenses-paid trip to Japan for the awards ceremony. Along with their parents, the week also includes the opportunity for all participants to explore the cultures of traditional and modern Japan. Grace’s mother, Esther, was also encouraged by her daughter’s participation in the art contest. 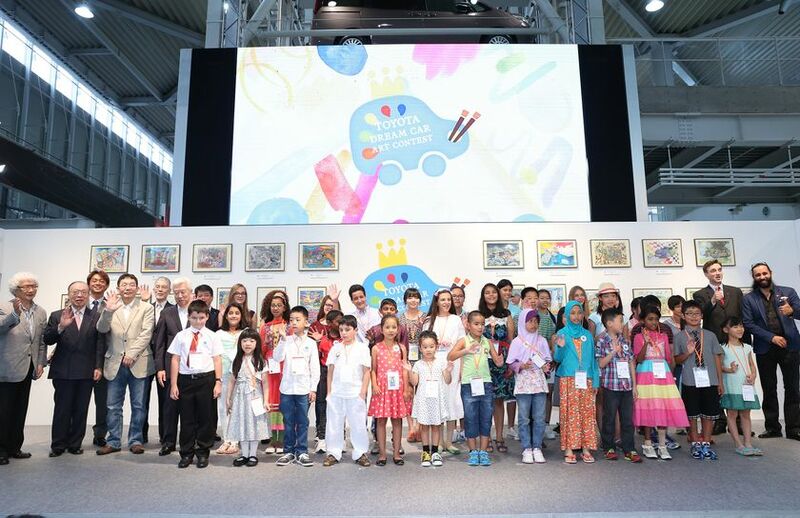 The goal of the Toyota Dream Car Art Contest is to inspire creativity among youth and reinforce the importance of having a dream, while encouraging an interest in cars. Reflecting Toyota’s commitment to fostering long-term innovation, the contest is open to children aged 15 and under in three age categories: under 10 years old, 10-12 years old, and 13-15 years old. 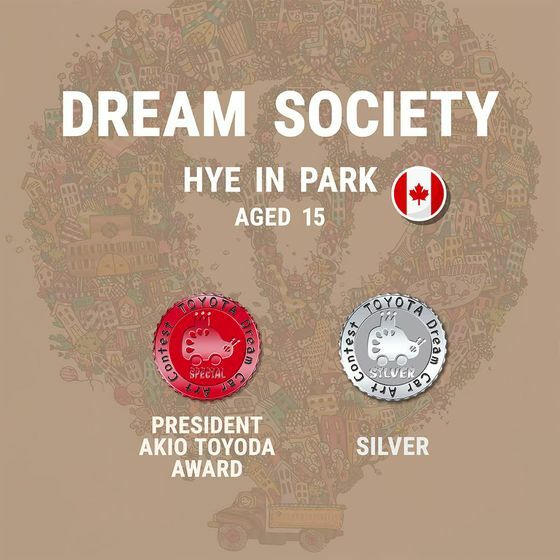 For more information on Canadian submissions to the Toyota Dream Car Art Contest and to view Noelle and Grace’s artwork along with the other entries that were chosen to represent Canada, please visit http://www.toyota.ca/dreamcarartcontest. 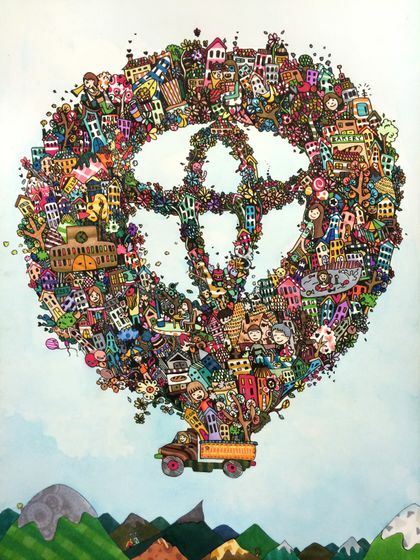 For more information on the global contest and to view the artwork of all global finalists, please visit http://www.toyota-insidedreams.com/dreamcar-collection.